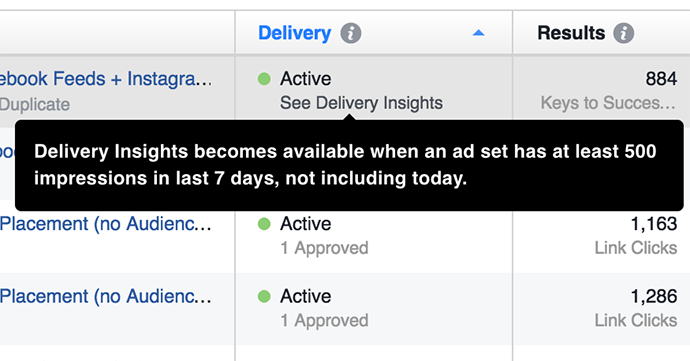 Facebook Delivery Insights is a new tool that allows advertisers additional perspectives into the performance of their ads. Up until now, advertisers have been given dozens of performance metrics to evaluate results. However, it’s not always easy to determine the cause of a drop in performance or know exactly how to react. 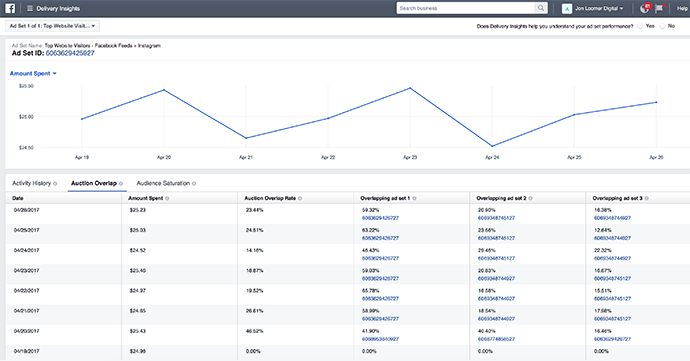 Facebook Delivery Insights provides new metrics and graphs to help isolate when auction overlap or audience saturation, in particular, may be causing problems. Delivery Insights applies to ad sets that have been running for at least five consecutive days, have at least 500 impressions and have experienced a sudden shift in performance. When an ad set is eligible to surface this information, a “See Delivery Insights” link will become visible when hovering over data in the Delivery column for an ad set in Ads Manager. You can view Delivery Insights for one ad set at a time. At the top of Delivery Insights is a chart highlighting performance during the past seven days. 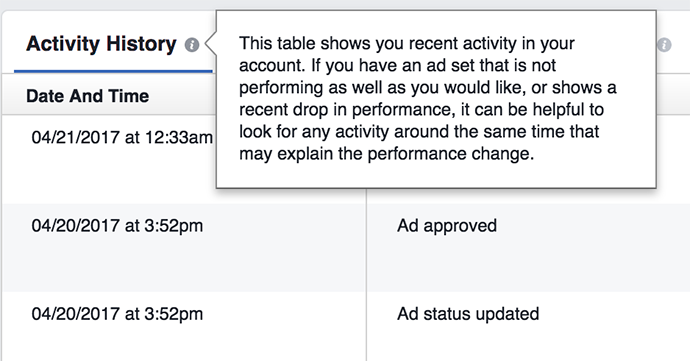 These quick snapshots will give you immediate warning signs if the performance of your ad set dropped recently. In the bottom half of Delivery Insights, there are three tabs for Activity History, Auction Overlap, and Audience Saturation. The default view is Activity History, which documents all of the changes that have been made to your ad set over time. This can provide some context when investigating the cause of a sudden drop in performance. Does it coincide with a change that you made at around the same time? The second tab is for Auction Overlap. Auction Overlap occurs when overlapping audiences from the same ad account appear in the same auction. Understand that Facebook prevents you from competing against yourself by de-duping. 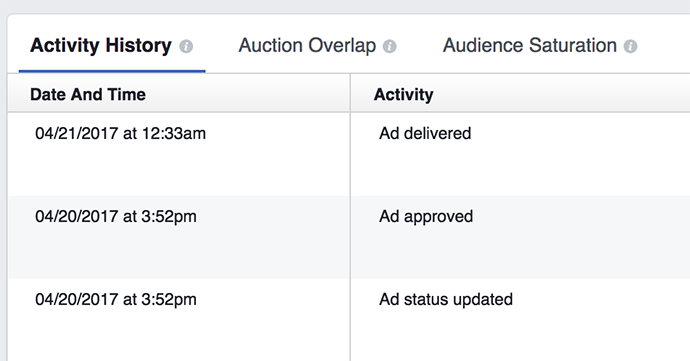 If the same audience is found in multiple ad sets from the same ad account in the same auction, Facebook will choose the higher performing ad set. The result is that ad sets with high auction overlap may struggle to get distribution due to a high level of de-duping. 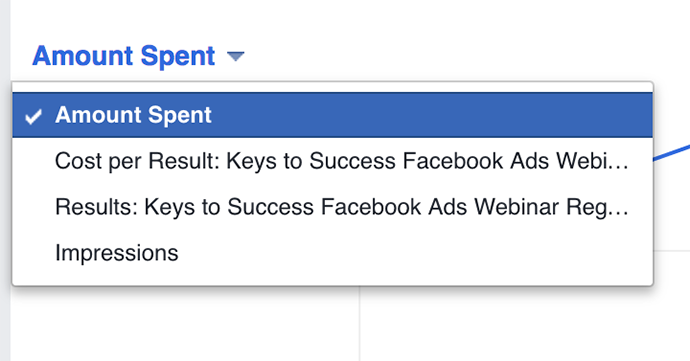 Amount Spent: How much you’ve spent on an ad set during a given day. If this amount is dropping below your expected budget, it could be a sign of a problem due to a high level of de-duping. Auction Overlap Rate: This is the rate at which your ad set was in the same auction as another ad set in the same ad account. When this happens, that audience is removed from the auction for that particular ad set. If you suffer from high overlap, you’re less likely to reach optimal delivery rates. 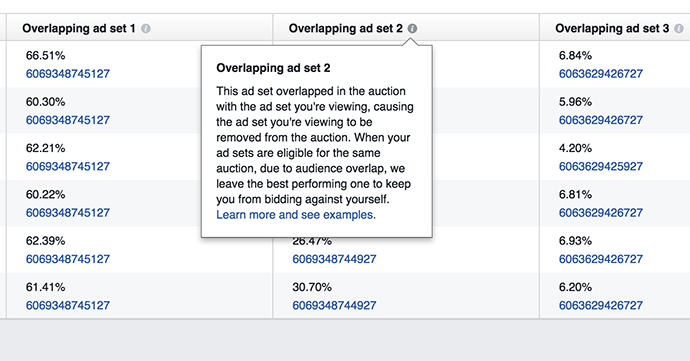 Overlapping Ad Set: Facebook provides the ad sets (indicated by ID) causing your selected ad set to be removed from auction most often due to auction overlap. 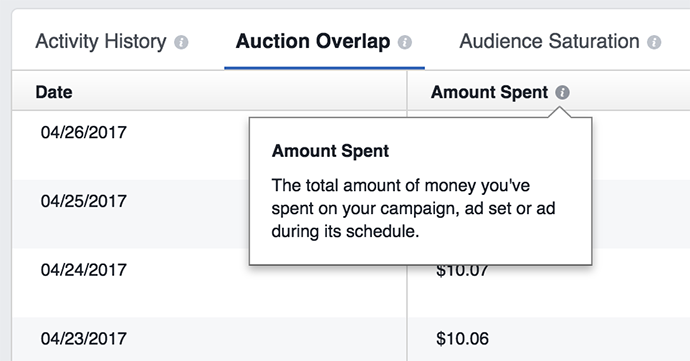 Facebook provides columns for the three ad sets providing the most auction overlap for a given day. It’s important to understand that a high percentage in these three columns isn’t necessarily a bad thing. These percentages indicate how much of the overlap is due to that particular ad set. So maybe the total overlap is 5%, and a given ad set makes up 50% of that overlap. Audience overlap (vs. Auction Overlap) isn’t necessarily bad. For example, consider the scenario where you have two large audiences with high overlap, but you’re using low budgets. Since the audiences are large and the budgets are small, you’re less likely to result with competition between the two in the auction. However, there could be a problem if the auction overlap rate is high. The definition of “high,” of course, isn’t clear. But Facebook recommends merging audiences if high auction overlap is resulting in poor performance. 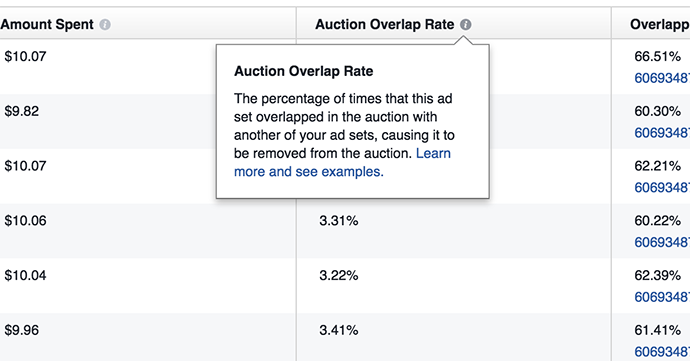 Here’s an example scenario: After seeing an ad set targeting fans of your Page has a 50% Auction Overlap Rate, you check its Overlapping Ad Set 1. You find that it’s an ad set targeting people who visited your website, and that it’s accounting for 60% of the auction overlap. You decide to merge the Page fans ad set into the website visitors ad set. You do this by adding the budget and targeting of the former into the latter. That way you maintain data from the successful ad set, which means it could take less time for it to adjust to the new parameters after the merge. The key here is that the trigger for making a change isn’t necessarily the high auction overlap, but the poor performance. If your ad set isn’t performing at the level you’d like and you discover high auction overlap, merging the audience from the poorly performing ad set into the higher performing ad set should be a consideration. 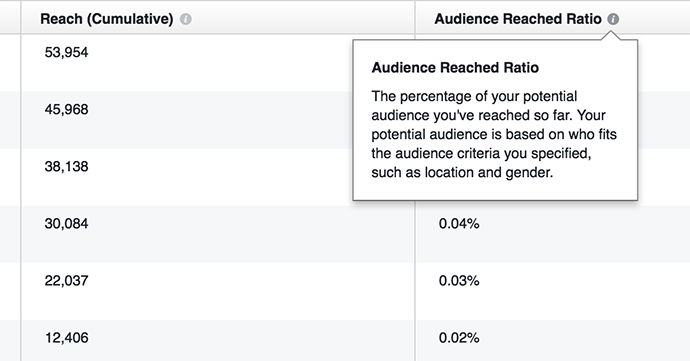 Facebook also suggests excluding audiences if auction overlap is a problem. Once again, I’d only look at excluding audiences if performance is poor, caused by a high auction overlap rate. I’ve found that excluding audiences to avoid overlap as a rule can actually hurt performance. The final tab at the bottom of Delivery Insights is for Audience Saturation. 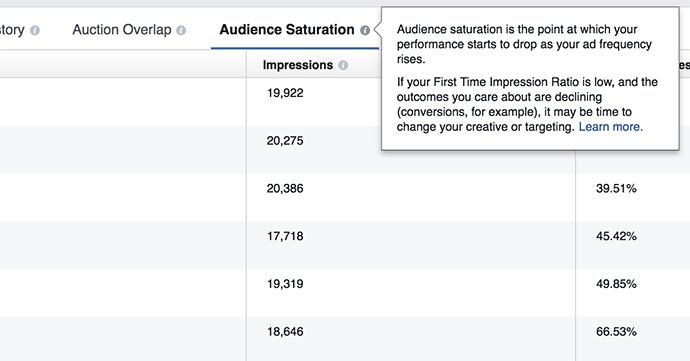 Audience Saturation measures how often people are seeing your ad for the first time, among other things. 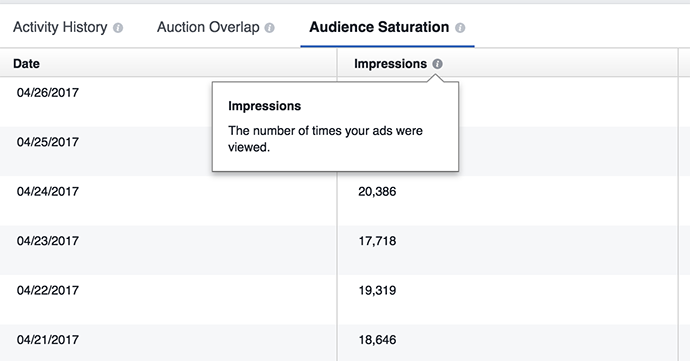 Impressions: This is the number of times your ads within the selected ad set were viewed within a given day. 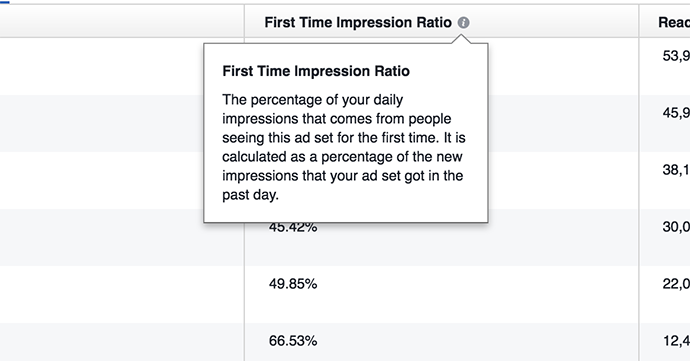 First Time Impression Ratio: This is the percentage of impressions coming from people seeing your ad within the selected ad set on a given day for the first time. In most cases, you want this number to be high. A low First Time Impression Ratio means that most people have seen your ad before, which makes it less likely to provide desired results. 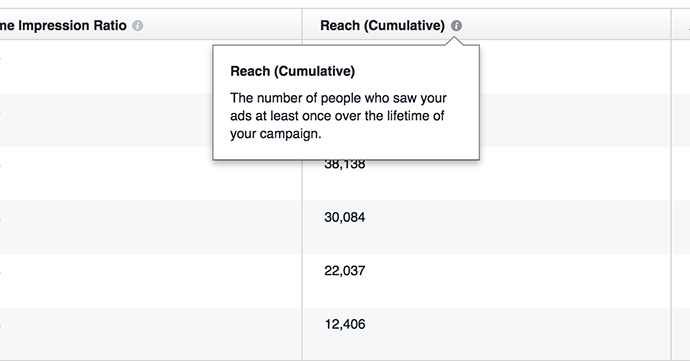 Reach (Cumulative): This is the total number of people who have seen your ads within the selected ad set at least once during the life of your campaign. Audience Reached Ratio: This is the percentage of the potential audience you’ve reached so far. If performance drops as the Audience Reach Ratio increases, it may be time to broaden the audience. Delivery Insights can be a very valuable tool for advertisers. However, I’d caution you from using hard and fast rules for “good” and “bad” percentages or thresholds. I look at this similarly to how I view ad relevance scores (though I admittedly value Delivery Insights information higher). If something is working, I don’t care a whole lot what these numbers show. If performance is dropping, I want to find a potential cause. Delivery insights can help you find that cause and make the fix necessary to get you back on the right track. 3) I typically run multiple campaigns with different objectives at the same time, often using closely related Website Custom Audiences that may overlap. I’ll occasionally use interests and Lookalike Audiences, particularly when promoting my entrepreneurial content. Auction Overlap, First Time Impression Ratio, and Audience Reached Ratio will always be lower in those cases. But does that mean that these ad sets are higher performers than those targeting Website Custom Audiences with higher numbers in these metrics? Context is necessary. Again, this information is valuable. But use it to find the cause of a problem, rather than declaring a problem that doesn’t exist. Have you started using Delivery Insights yet? What do you think?